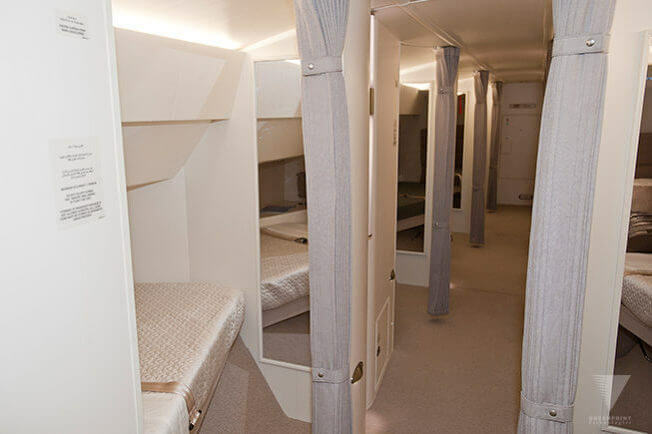 The Aeroloft® provides private sleeping berths located above the main deck in the aft section of the Boeing 747-8. 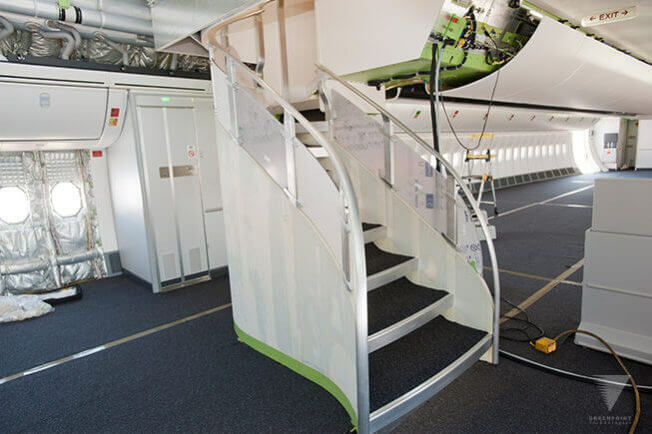 The Aeroloft® is installed with custom designed interior furnishings and a forward entry staircase. 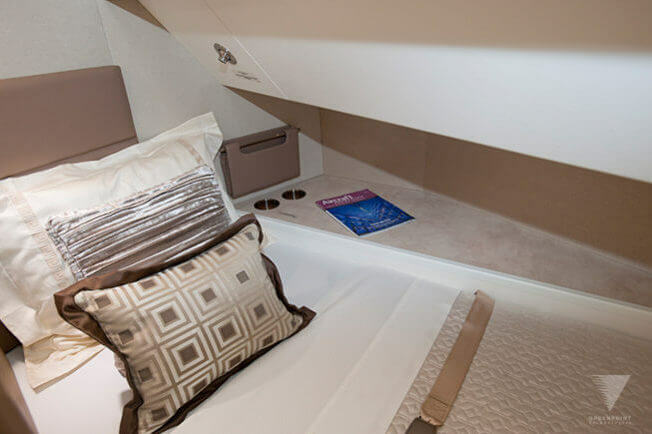 VIP clients appreciate the benefit of providing passengers and guests a private rest area above the main deck for additional relaxation and comfort. © 2018 Greenpoint Technologies, Inc. All Rights Reserved.